DN-AFRICA.COM, the leading African Fashion Magazine. 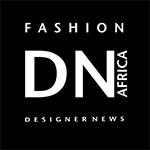 DN-Africa described as one of the leading African fashion magazines that are changing the African fashion industry and have taken the Fashion world to another level. This is African fashion, where the beauty of African culture has a history that everyone should be aware of by reading the fashion week magazines that has it all for you. There are those top known magazines that have taken the fashion world to another level. The following is the list of all the African magazines that has been trending with modern fashion, designs, and style. It is known to be the leading authority on the African fashion magazine. It describes all the major cultural fashion and styles with the famous and talented designers in Africa. See the popping fashion week in this magazine if you are in love with African fashion. DN AFRICA provides a unique digital experience for the Fashion Industry’s professionals, by putting together such unique services as editorial, photos, and video resources, creating big opportunities to enhance and broadcast their creations and their communication. 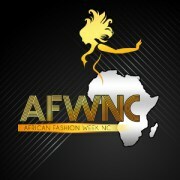 To provide the African fashion trends, by means of cultural and Fashion events. To identify New Faces and Talents. By mixing-up together massive and complex digital datas, we create a strategic leverage for Designers who want to improve their global image on the internet FASTER. In the same time, DN AFRICA accompanies events, fashion shows, shootings and castings, around the globe, providing a tremendous communication with it’s Web platforms. 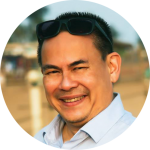 – Dominique Patard, (co-Founder DN AFRICA – CEO DN MAG/TRACKBUSTERS).